Paris is heaven for lovers of museums. 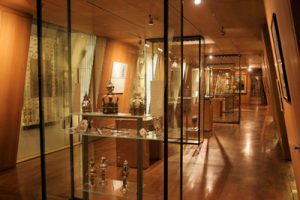 There are more than 150 museums in the City of Light, ranging from tiny exhibitions on very specific subjects (including museums for magic, dolls and even locks) up to the huge world-renowned institutions like the Louvre and the Musee d’Orsay. 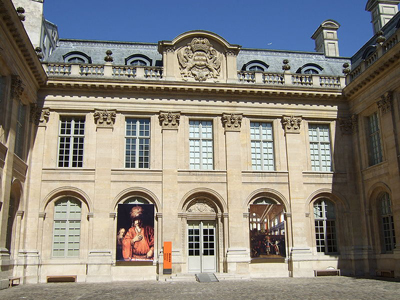 But many, many museums fall between the obscure and the famous, and one of the most interesting of these is the Musee d’Art et d’Histoire du Judaisme/MAHJ (Museum of Jewish Art and History), housed in an historic 17th century mansion—the Hotel de Saint-Aignan—in the Marais. 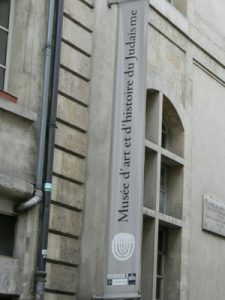 Located at 71 Rue du Temple (Metro: Rambuteau), the museum chronicles the history of Jews throughout Europe and North Africa—with a specific focus on French Jews—from the Middle Ages to present day through its world-class collection of paintings, sculpture, religious objects, manuscripts, textiles and historic documents. Some of the artifacts are nearly 800 years old. After passing through a metal detector and having bags and purses X-rayed before entering the facility (a grim reminder of the antisemitism—sometimes very violent antisemitism—that Jews around the world still face today), visitors to the museum begin with an introductory audio-visual presentation about the permanence and diversity of Jewish culture in France and throughout the continent. Important pieces on display include gravestones from a 13th century Jewish cemetery in Paris; two Chagall paintings portraying the lives of Jews living in Shtetlach—small communities with large Jewish populations in Central and Eastern Europe; a silver Torah case and Torah scroll dating back to the Ottoman Empire; and an entire room devoted to the celebration of Hanukkah by Jews throughout Europe. There are also pieces by such renowned 20th century artists as Amedeo Modigliani, Pascin, Chaim Soutine, Michel Kikoine, Jacques Lipchitz, Louis Marcoussins, Chana Orloff, Moise Kisling and others. Additionally, the museum is also home to more than 3,000 historic manuscripts, letters, photographs and official documents related to the Dreyfus Affair, all donated by the grandchildren of Captain Alfred Dreyfus, a French military officer of Jewish background who was wrongly convicted of treason in the late 1800s. Dreyfus’s conviction and the later revelation that the army covered up the fact that it was another officer who committed the crime and that Dreyfus had been framed because of his Jewish heritage led to a tense nationwide division between pro-military Catholics (many of whom were revealed to harbor strong anti-Semitic sentiments) and those who advocated for equal rights for and treatment of all French citizens, regardless of religion or cultural background. The conflict raged from 1894 to 1906, when Dreyfus was officially exonerated. But “The Affair,” as it is known in France, helped pave the way for the nation to fully emerge as an entirely secular republic. And Dreyfus is today honored by the museum with an 8-foot statue in the facility’s courtyard. 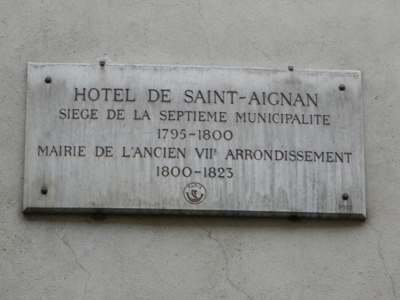 There’s also much history that resides in the 17th century mansion that is home to the museum, the Hotel de Saint-Aignan. One of the many Hotel de Particuliers in the Marais that once served as single-family homes to France’s wealthy aristocrats, the Hotel de Saint-Aignan was built by architect Pierre Le Muet from 1644 to 1650 for Claud de Mesmes, the Count of Avaux, who was an aide to Cardinal Richelieu. The mansion received its current name in the late 1600s when it was purchased by Paul de Beauvilliers, the Duke of Saint-Aignan. Like many of the Hotels de Particuliers in the Marais, the structure went through a number of owners and uses, particularly after King Louis XIV relocated the French court to Versailles and many of the city’s wealthy residents abandoned the neighborhood. It served for a time as the seat of the regional municipal government, and in 1842 was actually divided into several smaller units that housed various workshops and commercial ventures, including light manufacturing businesses. 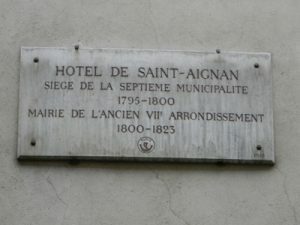 The Hotel de Saint-Aignan was acquired by the City of Paris in 1962, restored on-and-off during the next 20-plus years, and finally in 1986 made available by the French government to the Musee d’Art et d’Histoire du Judaisme. After a final renovation project that began in 1991, the museum official opened its doors in 1998. The museum is open to the public 11 a.m.-6 p.m. Monday-Friday and 10 a.m.-6 p.m. Sunday. Access to temporary exhibitions hosted at the museum is available from 11 a.m.-6 p.m. Monday-Tuesday and Thursday-Friday, and 11 a.m.-9 p.m. Wednesday. The facility is closed on Saturdays. Admission to the permanent collection is €8 (free to any EU citizen ages 18-25); tickets for only the temporary exhibitions are €7 (with a discount to €4.50 for those 18-25), and combined tickets allowing full access are priced at €10 (€4.50 for EU citizens ages 18-25). All visitors under age 18, the disabled, and students of art, history and religion are admitted free. 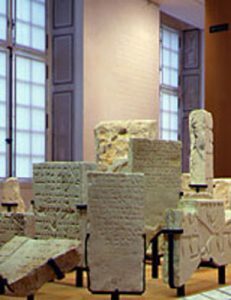 For more information (in both French and English), visit the museum’s website at www.mahj.org. 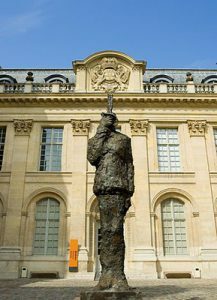 This entry was posted in Art, French history, History of Paris, Marais, Museums and Galleries, Religion and tagged antisemitism, Jewish history, Musee d’Art et d’Histoire du Judaisme, the Dreyfus Affair, World War II by Bob Adams. Bookmark the permalink.